At my current position, I work with numerous Web Technologies such as: asp.net, php, SQL, MySQL, jQuery, and Google Apps Script. Below are a few side projects. Roos Roast coffee had a booth and a trike that dished out great coffee, with the trike constantly on the move. The booth was sometimes on the move. 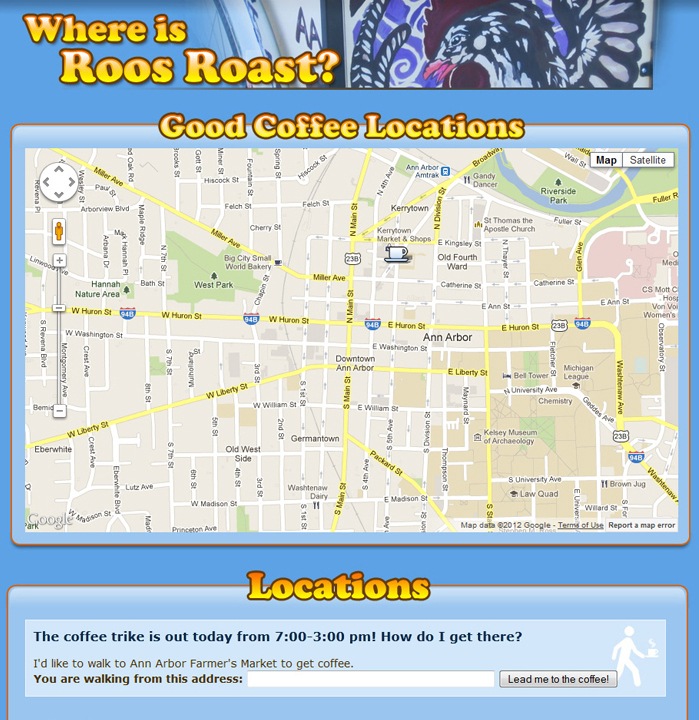 Using Google Maps and PHP / MySQL, I set up a site that told where the coffee was, where it was going to be, and how to get there. The front fold of the site had coffee icon(s) showing current and future trike and/or booth locations. If there was coffee that day, a box showed up that allowed the user to enter their location. This would use Google Maps on its walking setting to help a person get to the fine coffee. 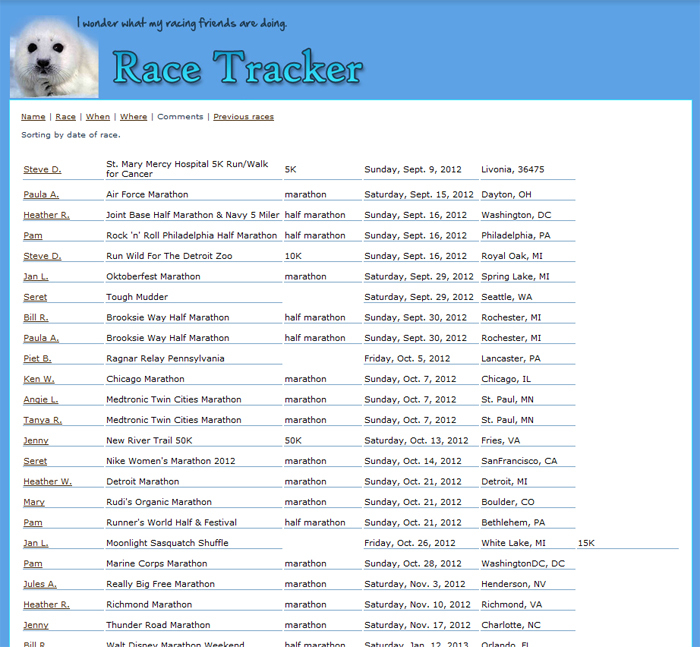 I wanted a way to keep track of all my running buddies’ races, so I created a site to hold this information. This site listed upcoming races with the who, what, when, and where. I also had a spot for comments, so if someone was running, say, back-to-back marathons, I could make a note of it. You could also view previous races that people had run. I ran snackordie.com for several years beginning in 2007. The site combines video games and baking, two of my hobbies. The site has been featured in numerous gaming magazines and online craft Websites. I love running, but the cold…not so much. Based on information from a running store’s clinic, I created the following infographic to help other runners stay warm in these tough Michigan winters! Created in InDesign, I have designed and several Ann Ann Track Newsletter since 2011. Below is a selection of the most recent Ann Arbor Track Club Newsletters. Older versions since 2011 can be found on the Ann Arbor Track Club Website.